Being a landlord in Indio can be very lucrative and is a fantastic way to set up passive income – though it may not always go as smoothly as you would like. If you end up having some problems with your tenants, you can enlist the services of an Indio eviction lawyer to move them on so you can find new tenants who will pay the rent. We have created a guide that explains why you need a professional Indio eviction lawyer, what they will do for you, and how the eviction process works in the state of California. This will help you to evict your tenants with less stress, no matter whether they are renting a residential or commercial property. 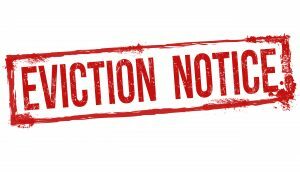 The first step you have to take in the eviction process is to issue notice to your tenants, asking them to move out. You will expect them to pack up and leave on their own, without further intervention. If they do not leave, however, this is when you will have to trigger the eviction process by filing an Unlawful Detainer Lawsuit in the Superior Court. That’s when you will want to have an Indio eviction attorney who understands the process and what to write to ensure that your lawsuit is successful. You will be the plaintiff of the suit and your tenant will take the role of the defendant. They will be served with a copy of the Summons and Complaint, which gives them five days to respond to the lawsuit. If they don’t respond or leave the property, then the judge will give you 20 days or less before they hear your case in court. This means you will get your property back very quickly when following the correct process. It’s important not to try to take unlawful action, such as trying to force your tenant out in your own way. The court is wise to any tricks you may try to use to speed the process up! Let’s go back to the beginning of the process with your eviction notice. It becomes very difficult to remove your tenants if you do not serve them with a notice. This is because they have rights that enable them reasonable access to a home when they have signed a rental agreement. You can’t just force them out without following the right legal process. Make sure that you understand what kind of notice to serve. Your Indio eviction lawyer will guide you based on what kind of property you are renting out, how much notice your rental agreement dictates you must give, and how long your tenants have been living at the property. All of these factors will have an impact on the format of your eviction notice. Failure to follow the rules correctly will result in an invalid eviction notice, which will delay the process and allow your tenants to stay in the property for longer. Should your tenants fail to pay their rent, you have the right as the owner of your property to have them removed so that you can find new tenants. However, you need to serve a particular notice to do this. Your 3 Day Notice to Pay Rent or Quit does as the name suggests: it asks them to pay what they owe or prepare to leave within the next three days. In order to understand the notice period, you have to calculate it from the day after you serve the notice. But it cannot start on a weekend or a day that is a court holiday – it can only start on a business day. If you were to serve the notice on a Friday, it would not start until the following Monday. Your tenant then has three days to come up with the money – in our example, this means they would have all of Monday, all of Tuesday, and all of Wednesday. If it was not paid by Thursday, you would then want to take the next step with your Indio eviction attorney. You can also use your 3 Day Notice if your tenant has violated the rental agreement in a different way than failing to pay the rent. Perhaps they have tried to sublet the property, brought in a pet, or changed the décor in a way that is not allowed in your agreement. If so, their three days must be spent in correcting the violation. Tenants who have a month to month agreement can be issued with a 30 Day Notice to Vacate or Quit as long as they have been living in the property for less than a year. If they have been there for a year or longer, see our next section on the 60 Day Notice. If you have agreed upon a longer lease term or a fixed term lease with your tenant, you should also adjust your notice accordingly – your Indio eviction attorney can advise you on the appropriate time period. You have to serve the notice in a written form, such as a letter, though you are under no obligation to state exactly why you wanted to break the lease. If your tenant attempts to pay you for a period that would cover the end of their 30 Day Notice period, make sure you do not accept it. In the eyes of the law, this would constitute you accepting a longer stay in the property as they will have paid for the right to remain there. Send the payment back as soon as possible. If you do accept the payment, you will need to begin the period again with a new notice. California’s eviction laws must be followed throughout this process. They include never evicting clients for retaliatory or discriminatory reasons. If they can be argued in court, you may face legal action. The day after you serve the 30 Day Notice, the notice period begins. You can count weekends when calculating the end date but be aware that it will not end on a weekend or holiday because your tenant must always have one last business day to move out. This means that if the thirtieth day is a Saturday, your tenant will have until the next Monday to leave. A 60 Day Notice to Vacate or Quit is exceptionally similar to the 30 Day Notice, both in terms of how it is served and how the notice period is calculated. The only difference between them is the length, and this is dictated by the law. Any tenant who has lived in the property for more than a year will be allowed 60 Days. You can circumvent this and bring it back down to 30 Days if you are selling the property. Be careful that you meet all of the requirements for this loophole. The unit or dwelling they are renting from you must be under an entirely separate title to any other: for example, if you have converted a home into two flats, you can’t reduce the time if both are under the same title and you are selling both. You also have to have legally agreed to the sale with a genuine purchaser who has every intention of living in the property themselves for at least a year after the sale. You should have the funds in escrow but don’t beat around the bush – you only have 120 days from when you place them in escrow before you have to notify your tenants. Because Section 8 tenancies are government subsidized, the rules do change a little here. These kinds of tenants are often vulnerable and may not be able to find a new home as quickly as others, which is why they get a longer notice period: 90 days. You cannot make any changes to your rental agreement during the notice period, such as raising the rent, even though they have a longer timeframe. The term is calculated as usual and you can take action to remove the tenants if they do not leave after that time. It’s important that you follow the letter of the law and ask your Indio eviction lawyer to file an Unlawful Detainer Lawsuit for you. Some landlords are tempted to change the locks, throw out the tenant’s possessions, or do other things to force them out, but this is unlawful behavior. You could see a fine of $200 per day for the whole time this goes on, or even see harsher punishments. About half of Unlawful Detainer cases are uncontested in California. This means that the tenant does not respond to the lawsuit, leaving you with no reason to have to justify the eviction. The Sheriff will accept your side then and will serve the tenant with a 5-Day Notice to Vacate. It will be posted on the front door of the property, at which time it is legally binding. The process we have described so far is for residential evictions, when you are a landlord evicting a tenant from their place of residence. There are a lot of stipulations and regulations to follow, which is why an Indio eviction lawyer is needed to help you navigate all of the legal red tape. The law respects both your rights as a landlord and the rights of your tenants. Evicting a commercial tenant may seem different but as you will see, many of the procedures are the same or very similar. Evicting a tenant from a commercial property may feel morally difficult. You will be keenly aware that your tenant may lose their business, in some cases the family’s only livelihood, if you evict them. However, you must protect your own business as well – in this case, your property investment as a landlord. You should use an Indio eviction lawyer to ensure that you take the right steps when looking to resolve a failure to pay rent. If they do manage to pay all of the money in full before the end of their notice period, you must allow them to stay – you cannot proceed with the eviction. When serving your notice, you will have to make it clear that a partial payment will not stop the eviction. If the tenant does pay some of what they owe, you just have to update the total money you are owed on your court complaint. Once this is done, you are covered. The court will also want to see that you are asking for a reasonable amount of rent. Should you wish to evict the tenant for another form of breaking the lease, or if they have not been able to pay the full amount in time, you will want to submit an Unlawful Detainer Lawsuit. This works much the same way that a residential suit would. If you are going to need an Indio eviction lawyer any time soon, be sure to contact us today. We will help you through every stage of the eviction process so you can regain control of your property and secure your investment.